Outsourced Marketing – Why It Makes Sense. When thinking about business optimisation, how often do you consider outsourcing? If you’re serious about running your business on the best devised cost benefit platform, the answer should be yes. And if you are serious about marketing, considering outsourcing should be an absolute yes. But for many businesses the answer is not as clear cut. The problem lies primarily in business leaders not understanding the key marketing functions of their business and the importance of the integration of those functions. Secondary to this, very few consultancies provide complete marketing outsourcing solutions to facilitate this integration. However businesses that understand their marketing needs and can find the right outsource partner will outperform their competitors every time. They will have effective marketing for lower costs and improved business outcomes across the board as a result. The most important rule to remember is effective marketing is the result of successful and optimal integration of all elements into the marketing mix. 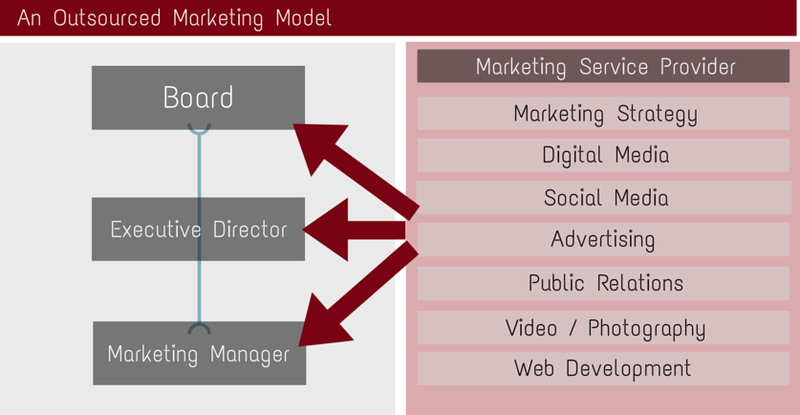 Let’s take a quick look at all the various marketing functions. In very simple terms your marketing strategy is what turns your business plan into actionable outcomes. If your business plan suggests a growth figure then your marketing strategy is what will lay out the steps to achieve your goal. It is common for businesses to outsource their marketing planning to impressive yet expensive consultancies. However this does not constitute outsourced marketing: while an exceptional marketing plan might be delivered, it will still require highly skilled resources to implement it. 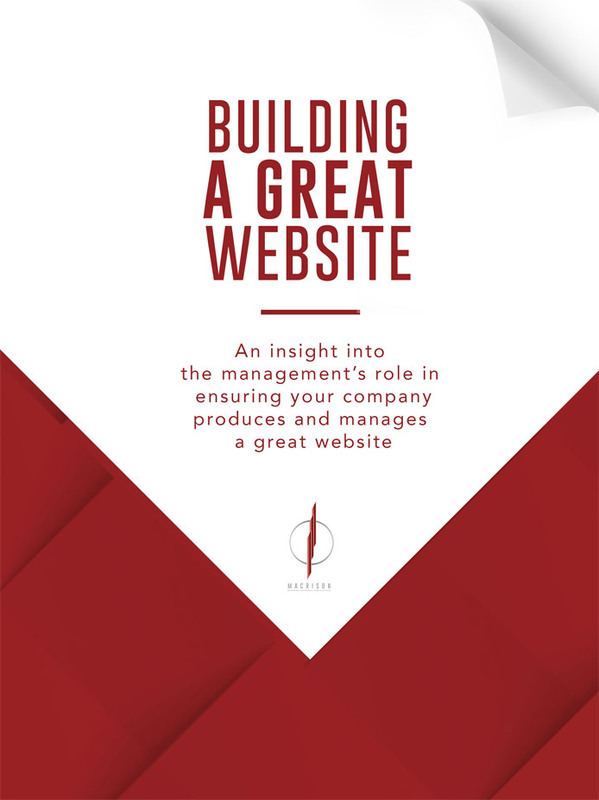 This above link takes you to Macrison’s site and our overview of our approach to marketing strategy. There is no doubt that communications are a very important component of the marketing mix. In fact, it’s a complex science. Businesses need to be able to engage and drive media through traditional news and advertising vehicles, which require certain skills. Search Engine Optimisation (SEO) is how the Google algorithm works for your business. If you don’t pay enough attention to optimising advertising across social media and digital platforms, your business will end up at the bottom of the search engine pile. A business not engaged in social media is like a business not having a web presence at all. In an online world, think of social media as the perfect front of house experience, delivering positivity to your customers before they have even done business with your company. Many companies outsource elements of their communications. Public Relations will often be outsourced to a media company; likewise advertising. The outsourcing of these functions to separate entities ultimately detracts from the optimal integration of all elements in the marketing model. Relationships with these numerous entities require constant management adding to the cost which is why so many businesses have a low opinion of marketing and marketers. It is the high cost, no results and no accountability industry. This above link takes you to Macrison’s site an our overview of our approach to marketing communications. So why do we advocate Outsourced Marketing? 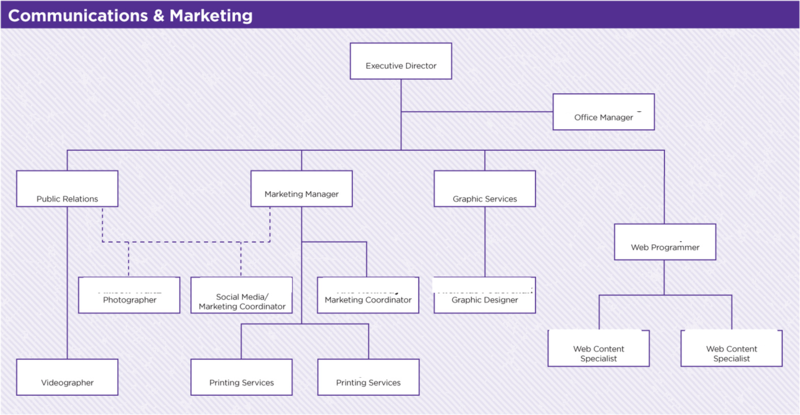 Let’s look at an actual org chart for a company with a reasonably sized marketing team to demonstrate the pitfalls of not engaging with an outsourced marketing company. The most important take away is the complexity of the management flows. How can the Executive Director hope to develop an optimal marketing plan when none of the functions have been integrated? Facilitating the inter-departmental grievances arising from a workplace worried about who is more important and who deserves more resources wastes time. Now consider the marketing chart demonstrated below. If executed properly, outsourced marketing is still the best cost benefit model for the optimal marketing of any business. Understanding your goals and business objectives are paramount. This can only occur through full engagement with your board and management team. Resources are integrated into every level of your business, implementing plans across all marketing functions to achieve the optimal results for you against an allocated budget. The focus is on you the client, not from campaign to campaign. Honesty is often the best policy! Through integrated reporting and analysis, if the investment isn’t worth the return, your outsourced marketing company should advise you to drop the odd campaign. The beauty of the outsourced structure allows them to monitor and make agile changes as needed for optimal results. It’s their goal to assist you in making smarter, informed decisions about the ongoing direction of your business. Outsourced marketing companies offer competitive pricing and payment models. The costs are negotiated and based on fees and budgeted programs. There are no overheads or associated costs as with employees. The full suite of skills is offered for a fraction of the price. Termination in the event of dissatisfaction is far easier than letting go of an under-performing employee because the arrangement with an outsourced marketing company is contractual. Achieving the clients overall business objectives is what the outsourced marketing company lives and dies by, which is why a comprehensive review is offered of the impact your integrated marketing is having on your business performance. There is no competition against other departments or silo’s. There is no jockeying for promotions to cloud judgement or motivation. There is simply a focus on results. A fully integrated approach is an instinctive outcome. Below is an overview of outsourced marketing by the Harvard Business Review. Macrison is a savvy, focused, instinctive service provider that can successfully integrate all elements of the marketing mix into your business plan. Outsourcing your marketing through Macrison means your business will vie for a larger slice of the market whilst efficiently keeping costs down. Our motivation is the success of your business, that’s how we stay employed. We believe effective outsourcing leads to effective business optimisation. The results will ultimately speak for themselves.